Femoroacetabular impingement (FAI) is a condition in which there is abnormal contact between the proximal femur and acetabular rim leading to impingement. Two specific types of impingement have been identified: cam (related to the femoral neck) and pincer (related to the acetabulum). This condition can cause pain, limit range of motion, and lead to labral tears and/or hip arthritis. 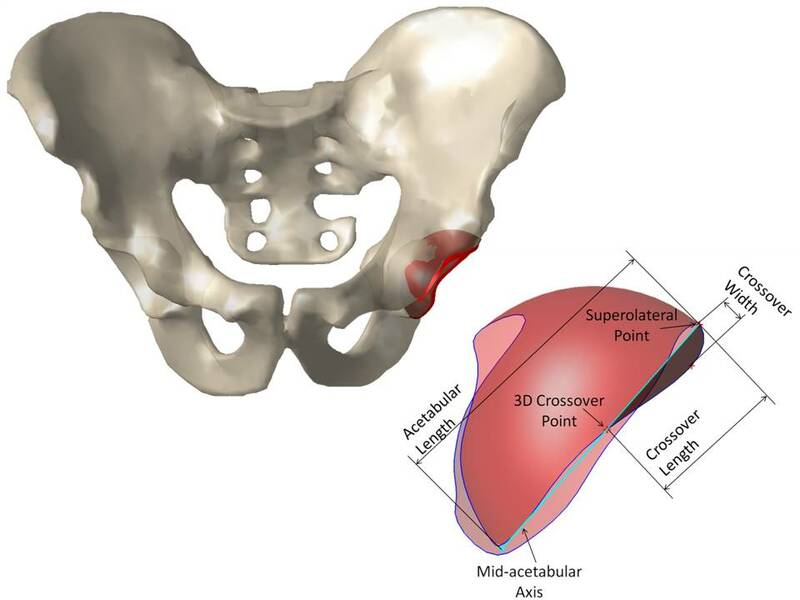 We are interested in developing computer-assisted diagnostic and treatment options for FAI, with the current focus being pincer impingement.